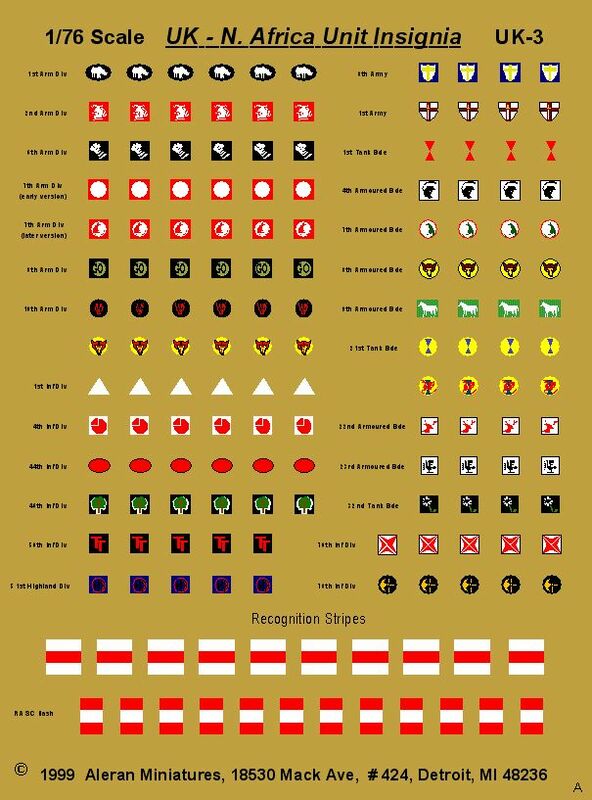 This superb set consists of the Unit Insignia of British Armoured Divisions and Brigades along with the AFV Recognition stripes used in the North African campaign. This company was founded by model builders / war gamers with 40+ years of experience and since we are quality minded we want to try to make your models look good. We strive to make our products as accurate as possible, using our available research material. If you have a particular interest and would like to see it developed, drop us a line with your suggestion. We are always happy to hear from other modelers. Aleran Minis © All rights reserved.